Yay! This is my first post this year! HAPPY NEW YEAR!!! Last year when I counted down the 10 most unforgettable places I visited in 2009, I said that that year was the best year of my life. Well, I’m sorry 2009, you have been dethroned by 2010. Yes, Year 2010 has been better, the best of my life. Year 2010 continued what was started in the previous year and leveled it up a bit. It’s quite encouraging to know that my life gets better and better every year. Although I traveled more frequently in 2009, I think the places that I visited last year are more memorable. So here it is, my list of the ten most unforgettable places I have traveled to in 2010. This was completely unplanned. From Sagada, we originally intended to pass through Baguio City but our driver brought up the idea of taking this route instead. Since none of of us had seen the Banaue Rice Terraces not painted on the P1000-bill, we liked the offer. The Sagada-Bontoc-Banaue route was dangerous. We didn’t know it until we were already on the narrow road and we were greeted by boulders and fallen rocks. It was quite obvious that the area was prone to landslides. Dangerous, yes, but beautiful. The view was magnificent. We even passed by a waterfall. It was disappointing! Not the place, but the timing. 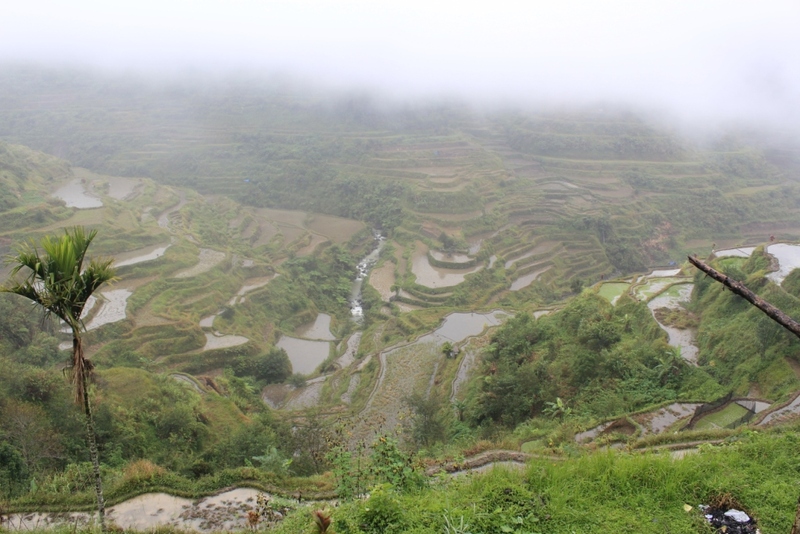 When we got there, the rice terraces were completely covered by fog. That was all we could see. We waited a bit but it failed us. LOL. We decided to just continue driving but there was an area that we could almost see the terraces. Based from the little we saw, we knew it was breathtaking. Regardless, one thing is for sure. We shall be back. And hopefully next time, we could see the terraces. Haha. Although I never planned it, I always find myself in Subic every year. I joined my friend Ayn as she stalked Neil Gaiman to this place a few years back and we even had a field trip here in college. Last summer, Subic was where we had our team outing with my former teammates at work. The place is lovely but truth be told, the one thing I enjoyed the most here was an activity that starts with an “S” and rhymes with “hopping.” Haha. What made this trip memorable was the fact that this was where I got the very first rubber shoes that I bought for myself. All my shoes were just gifts to me and before that, I never bought myself anything more expensive than P1000. (Not counting my World Cup 2006 football.) I was frugal like that. It was my first splurge moment and it started my “shopping is a therapy” mantra. And oh, Andi Eigenmann was at our hotel. Apparently, it was where they shot Agua Bendita. And being the teleserye-freak that I am, I was especially happy that time. Ang babaw lang. Haha. I grew up in Batangas. This explains why Laguna usually doesn’t excite me. Don’t get me wrong. Not that Laguna is awful. It’s just that we used to visit our neighboring provinces. For example, every time we had a field trip back in High School, our destinations always included Calamba, Pagsanjan and Paete. Mt. Makiling was also a favorite place to camp in during my Eagle Scout years. When my HS classmates would plan an overnight swimming trip, it would always be in Pansol. Family trip? Ugh, Enchanted Kingdom was a staple. Laguna was a part of the teenage me. But then, years later, my officemates planned a road trip to — wait for it — Laguna! But hey, I did not complain because I realized something — I missed this place. And I began rediscovering this province again for myself. Our trip to Majayjay was fantastic. I loved the rustic atmosphere. We even spent half a day in Liliw and indulged in slippers! Laguna is the nearest paradise and there’s still so much to explore. You might be asking why the hell this is on the list. Well, the past decade, I have lived in Quezon City and Mandaluyong. But I had never really explored Manila, the city. Shy Guy and I have traveled to many provinces. For our anniversary, we wanted something different. Neither of us had been to attractions in Manila and so, off we went. We started our day in Binondo and had a brunch there. We then visited the National Museum. For several minutes we just found ourselves sitting on the floor together, admiring the Spoliarium by Juan Luna. It was magical. Intramuros and Luneta were part of our itinerary, of course. I’d always wanted to see this place! The idea of evergreen Agoho trees on the beach appeals to me greatly but I never really had a chance to visit Anawangin until the summer of 2010. One of my college friends, who is now based in Calfornia, was coming home with her boyfriend, and they wanted to go to a nearby beach. 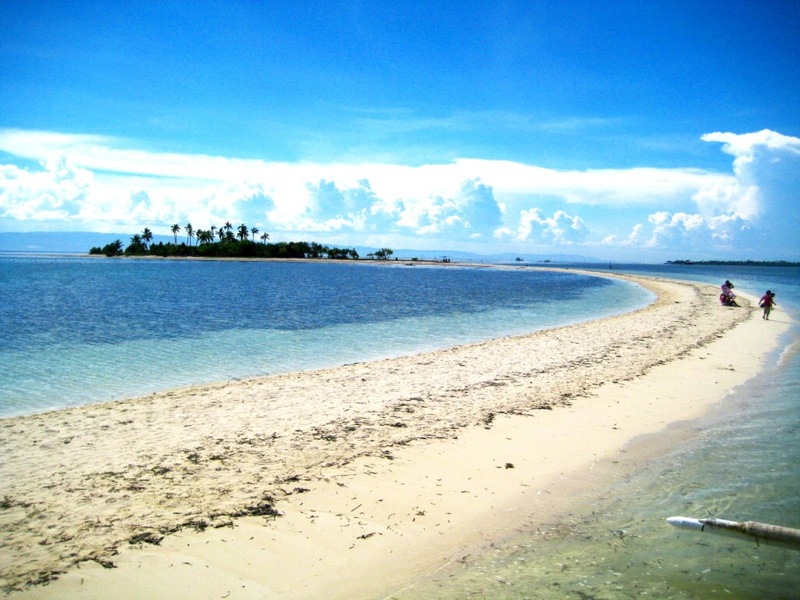 Several beaches were brought up — Batangas, Puerto Galera, Quezon. But I saw it as an opportunity to make my Anawangin dream a reality! So after a little brainwashing, our trip to Anawangin pushed through! We encountered several mishaps! Our balikbayan friend was rushed to the hospital the night before our departure because of allergies! Her boyfriend got some nasty sunburn! And we got stranded in the middle of the sea for an hour when our boat crashed to an islet and the engine failed to work. Nevertheless, it was a great trip and those troubles just made our trip a lot more unforgettable! 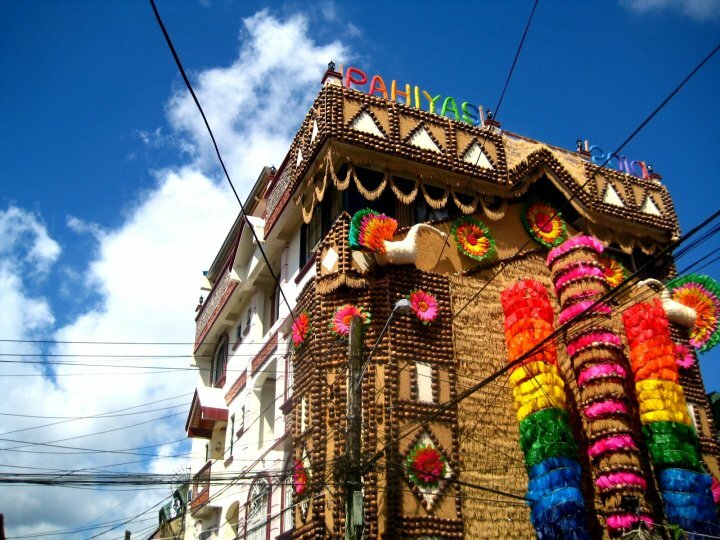 Pahiyas Festival! God knows I had always dreamed of experiencing this place first-hand. And last summer, the dream finally came true! The traffic was awful but it was completely alright because the festival was freakin’ worth it! It was colorful and entirely perky. And like I said before, cute boys were everywhere! My dad was from Puerto Princesa and most of my paternal relatives reside in this paradise so this city isn’t a stranger to me. But there’s a reason I keep on returning to this place. It’s just beautiful. However, my most recent trip to this city was the first time I brought friends here. And as always, Honda Bay, Underground River and City Tour were all part of our itinerary. And oh, it was my first time to eat tamilok (woodworm) and hold a crocodile! 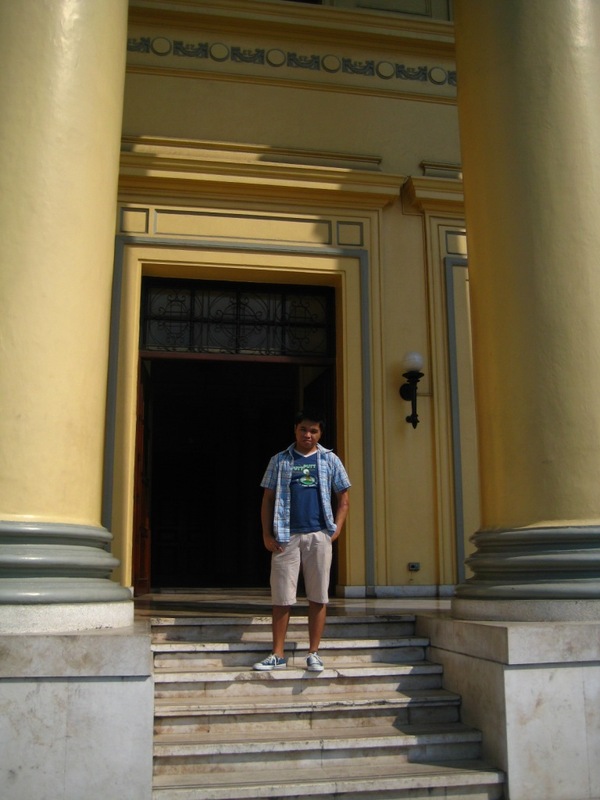 In 2009, I went out of the country for the first time when I visited Singapore. In 2010, I visited Hong Kong. My mother doesn’t travel. The farthest my mother had reached was Lucena City in Quezon. She had never boarded a plane or a ship. We used to be extremely poor. We literally experienced “magdildil ng asin.�? I remember eating just rice and cooking oil with a little bit of soy sauce for our full meal. But as soon as my niece Natalia and nephew Yoshke (I gave him that name) heard the word “Disneyland,�? I knew I won’t be alone with my mother. They just “had�? to be there, the Kids insisted. Remember this post on which I enumerated the 15 destinations I was so dying to visit? Bohol was number 3, behind El Nido and Batanes. In 2010, I was able to visit to Bohol not just once but TWICE! June and July. Crazy, alright. That’s how blown away I was. Bohol is just gorgeous. 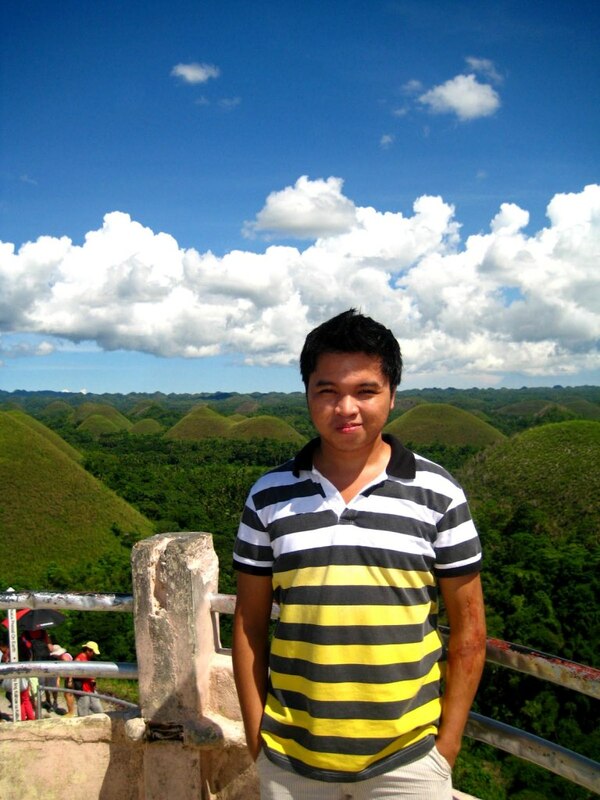 The Chocolate Hills, the tarsier, the islands — A. MAZ. ING. My favorite part of the trip was the dolphin-watching in Balicasag. It was just an incredible experience to see the dolphins playing in the wild. They were absolutely adorable. December 2009, I visited Sagada for the first time and when I counted down the top places I traveled to in that year, Sagada topped the list. I said to myself, “I have to come back.” And true to my word, I did last month but this time, my college friends were with me. And again, Sagada rules my 2010 list! Just like last year! I am now officially madly in love with Sagada. 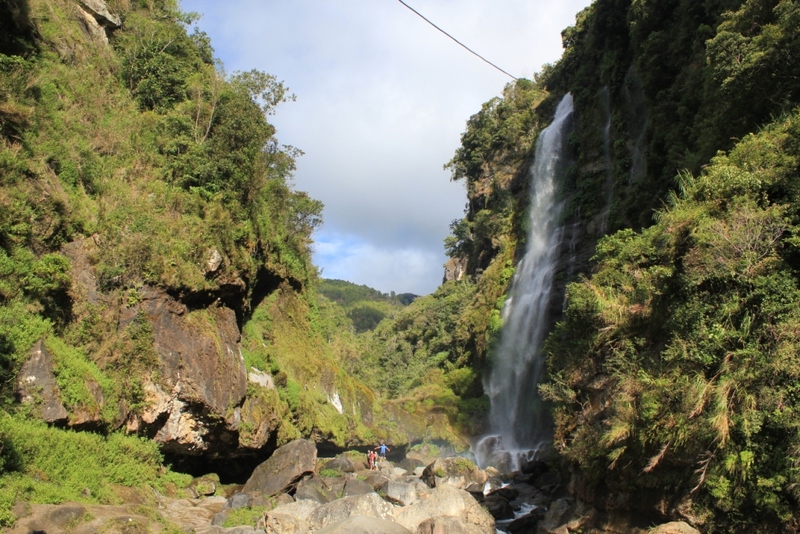 Sumaging Cave, Bomod-Ok Falls, Kiltepan… The climate, the culture, the attractions… Everything about Sagada is jaw-dropping. Added points were for the New Year Bonfire that SAGGAS (Sagada Genuine Guides Association) holds every year at the Kiltepan Viewpoint. I’ll chronicle the trip in detail another time but believe me when I say that Sagada is one of those places you MUST VISIT at least once in a lifetime. And yes, I will be back. There you go, the ten places that made a mark on my heart (Naks, shet) last year. And I’m looking forward to more travels this year as I have booked flights to most of them. Cagayan De Oro, Camiguin, Leyte, Samar, Malaysia, Thailand, Vietnam, Cambodia — see you soon! mambukal mountain resort in negros occidental. chris and I went there without knowing the place, we asked how to get there, and end up staying in a tent for 2 nights and 3 days because the rooms were all fully-booked. we cooked our food the camper way and then we hiked the 7 falls, we even jumped on the 5th falls. we took a bath in the hot spring, pampered ourselves with a spa beside the hot spring area and we tried everything that heavenly place has to offer: wall climbing, traversing, boating, bat watching and swimming in the pool :p we had a blast! wow, first time i heard of this place. will check it out! Try palaui island, nangaramuan beach in Santa Ana, cagayan.it’s beautiful! Looks like another good time! 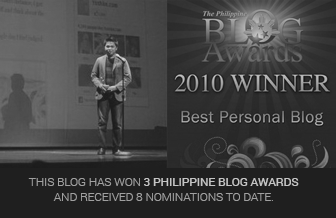 I had a fun time reading your blog Kuya. It’s hip and awesome. Now I know, you don’t have that PBA for nothing. Lol, pumasok po ba comment ko? Anawangin will always be a special place for me…. hihhih landi. Did you get my comment Kuya Yosh? oh GOSH ! what a SAGADA is ! it so fascinating ! My mom and I are planning to see the Pahiyas Festival this year. Also, yay Subic! Our class stayed in Grande Island there. It was gorgeous. My top destination last year was Bohol… love the experience in the Loboc River. However I was not able to explore it much because the trip was work related. But I plan to go back there and experience Danao! As to Sagada, it was very memorable to me hahah.. because that’s how I discovered this site. I planned to go to Sagada two years ago but until now postponed pa rin siya. hahaha I hope my attempt this coming holy week will work out!